The Women’s Red, and the League Champion Women’s White have wrapped up their league seasons. Women’s White lost 0-2 in cup game. CPR Grays were off, and have a game left on June 5th. CPR Legends lost 1-2 to Manhattan Celtic Masters. Goal: Pete Hahn. CPR Grays lost 4-7 to Manhattan Kickers Premier Goals: ???? The Legends spring has been as depressing as the Fall season was exhilarating, leads against overmatched teams evaporating and goal scoring chances as sparse as happy endings in Westeros. Although there was no chance of winning with the Cozmos machine wrapping things up extraordinarily early, runners up was there for the taking. As always around this time of year, the squad was more sighing with relief at being able to get up at a normal time on Sundays. May in particular has seen the squad’s fatigue for 8am games brutally exposed. Playing on a grass field in unusually good nick against an undermanned Celtic team should have helped them end the season on a bright note. With a solid well rounded 15 the rotation set itself up, but once again clear chances were few and far between. As always, one of the Legends bitterest foes is themselves as smart play up to the final third inevitably disintegrates into panicky crosses or a general lack of composure. Effort in the first half wasn’t an issue and the hope was that with only 12 Celtic would wear down in time for the Legends superior numbers to come into effect. Since the game started late the referee blew the whistle after only 39 minutes, but was at least willing to give the teams the paid for time in the second half, although the concept of any injury time does appear to be an alien concept. CPR started tightening the screw and took the lead from an unlikely source, Pete Hahn launching a knuckleballer over the keeper into the side netting for only his second career goal and putting him in second place on the all time points list. With a strong back line it was up to the Legends to close out the game, something they had shown difficulty at this spring. Indeed, the one danger man that the Celtics had went very close with a one on one. Not learning from that mistake, the Legends let the same striker have a few similar chances as this time he scored on both to give the Celtics a lead they would not relinquish. A hugely disappointing and underperforming Spring, the Legends are certainly capable of better. The need for a speedy striker is paramount, but the contradiction is that finding such a player to join an Over 36 team would be far easier said than done. A more encouraging sign was the return of some old stalwarts from before who haven’t lost as much in the intervening time, and perhaps they can perform a stronger role going forward. Statistic of the week: The bizarre scoring streak for the Legends continued, as they completed the season by having scored in every single game yet only one once from December onwards. In 13 out of 20 games they only managed a single goal. The number one need in the offseason is a speedy goal scorer and it isn’t even close. One wonders what would have happened if Rich Enticott didn’t move or Chris Williams had been able to play more than 3 games. Team Bar Night: 1.5 out of 5. A dispiriting end to the season and exhaustion after Edmunds’ wedding ensured it would be a bare minimum at the bar, indeed only 2 Tier 1 members made it. Heartbreaking last minute loss dooms Legends. Again. Although the Cozmos team had already clinched the title with an astonishing 14 wins in 14 in the league, the Legends still matched up well with them. Apart from an early 30 minutes in their first game, the scores and games were tight between the two teams, a 2-1 cup reverse and a 4-1 loss that was far closer than the score indicated. Trying to salvage some pride in a spring season that had seen a reversion to the mean compared to their great record in the Fall season, the absence of Rich Enticott really hurting the balance of the team. Not having a full time goalie looked to be an issue, but Ollie Roberts reluctantly disclosed his dark secret of being a fully capable keeper. Indeed the Legends started well, although it was more of a bend but don’t break defence with minimal offensive capabilities. With a plethora of new faces CPR were also getting used to playing with each other, but despite that they were able to play the dominant Cozmos to a stalemate for most of the half until a deflating goal. With a disciplined side like Comzos playing out of position is a recipe for disaster, and as such the opposition exposed a gaping hole on the left flank for a surgical and well played move that ended up with a lob over the despairing Roberts. The second half brought a substitute Becker in for a likely last game for the Legends, freeing up a rested up Roberts to rotate in at center back with Steve Roberts. This allowed Belizan license to roam up, and with Edmunds marauding from fullback and Solinas as usual charging up and down, the Legends tried to bolster Mckeown up top. Indeed, a long throw by Edmunds to Hodges then found Mckeown one on one, and with no mistake he put the Legends level. With only 5 minutes to go CPR was hoping for a morale boosting draw but it was not to me. The Cozmos expertly turned defence into attack and a couple of tired tackles and the right bounce of the ball provided a tough concession in the last minute of the game. Fans: 3, Steve Teesdale who valiantly drove all the way for a half despite being injured in order to provide rides for people as well as Ernest Subah & Jens Faulhaber. ”Mr. Glass” Fragility/Old Man Injury Award: Steve “Threesdale” Teesdale, hamstring. Statistic of the week: Mckeown has now scored in a remarkable 5 consecutive games and 6 of his last 7. He is 3 points away from Resnik’s all time points record in a season set in the Runners Up season of 2013-2014 and the single season goal record will surely last a long time. Team Bar Night: 3 out of 5. A change of scenery this time in combination with Old Boyz provided a boisterous early afternoon. 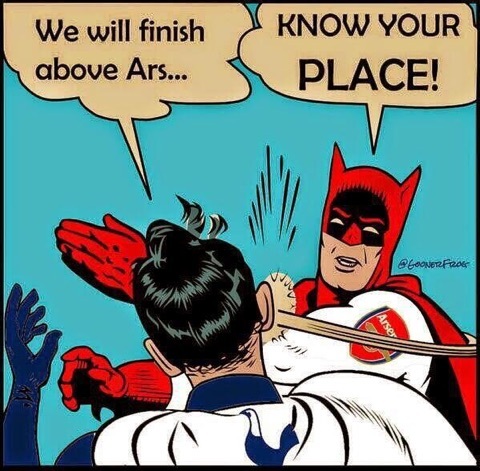 The Spurs meltdown for the latest St. Totteringham’s day in decades was welcome amusement. A dismal string of games led the Legends to believe that despite it all, they still had the wherewithal to beat their traditional whipping boys Banatul to get back on track (previous scores 6-0, 4-1, 3-1). Despite the now infamous Edmunds not showing up, they still had 14 quality players who should have been able to easily control the game including another prodigal son Conboy. Indeed, the Legends started strong and soon hit the post twice, once from Conboy and a second time from Pattinson. The surprise was that it took so long to take the lead, the typically prolific Mckeown announcing his return back from injury with another goal. Much against the run of play Banatul drew level, a speculative shot hitting El Presidente’s arm for a penalty in one of the only ways that they looked capable of scoring. CPR continued dominating and right at the end of the half won a penalty in almost identical fashion. Up stepped a supremely confident Venkataraman only to abysmally shank it to the right, the desire for sidenetting accuracy being outweighed by the execution. The whistle immediately blew for half time and the Legends looked to scrape themselves up from that down note. Once again they looked to move on the front foot with full confidence that the second half would be theirs. Indeed, more and more Legends started flooding up including both fullbacks. Infuriatingly, the ball would not drop in the right place or the right decision was not made. A wide open goal resulted in another post being hit by Mckeown, and as Vale was celebrating the lead the ball instead blasted off the post and neatly bisected 2 Legends by inches. One on ones spurned, the waves of CPR Legends their own worst enemies on occasion. Finally, a ball to Conboy on the right who carefully took aim, slid the ball past the keeper only for the ball to hit the upright for the astonishing fifth time. And on cue, the game was over. The Banatul squad cheered as if it was a win, while to the Legends it felt like a gut punch loss. The less said, the better. Mike D’s aka No Shows: Mark Edmunds on his debut for the Legends. Statistic of the week: Its highly unlikely there will never be another game for the Legends with the woodwork hit 5 times, a penalty shanked and not winning the game. Mckeown continues to push the Legends season goal scoring record higher, a record that no other squad members looks capable of challenging in future years. Team Bar Night: 1.5 out of 5. Only 2 Tier 1s and 3 people total, befitting the shambolic game.